Becoming familiar with the muscles that make up your body has more benefits than simply allowing you to talk shop with your training partners. The more familiar you are with the muscles you're working, the better you'll be able to judge what's needed to make improvements. In this article we'll get to know the muscles that make up the mid-section. 1. Rectus abdominis - this is a large flat muscle wall that covers most of the front mid-section from the lower chest to the pubic bone. Above the navel it consists of three pairs of rectangular sections stacked on top of each other and is better known as the six pack. 2. Obliquus abdominis - this muscle runs diagonally along the side of the mid-section from the lower ribcage to the pubic area. There are two muscles on each side, with internal obliques lying underneath the external obliques. The obliques help your torso to flex to the side, twist at the waist and help in bending the torso forwards. 3. Transversus abdominis - this is the deepest of the abdominal muscles and consists of a thin strip that runs horizontally across the abdomen. This muscle helps keep the internal organs in place, forces out the breath and stabilizes the spine. 4. Erector spinae - this large muscle group runs along the side of the lower spine. Consisting of a pair, the erector spinae keeps the spine erect and helps twisting at the waist. 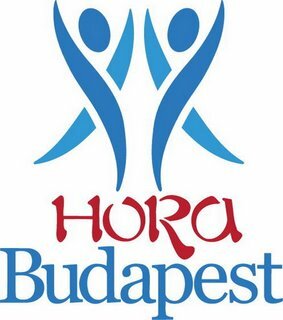 Írta: Hora Budapest Idő: 3/09/2015 10:37:00 de.